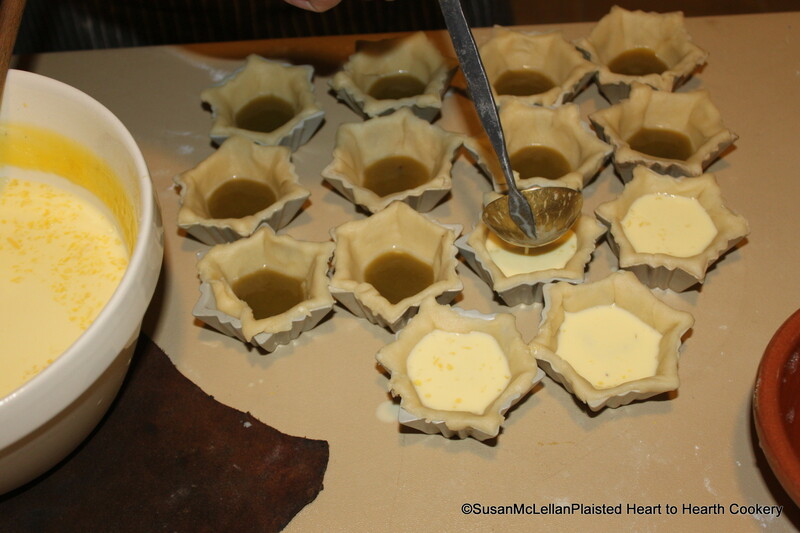 For the receipt (recipe) Creamed Tartlets, after a layer of green gage plums has been put into the fine paste, on this pour some thick boiled custard. For the custard, the receipt Rich Boiled Custard was prepared. Take a small cupful from a quart of fresh cream, and simmer the remainder for a few minutes with four ounces of sugar and the rind of a lemon. Beat the yolks of eight eggs, mix them with the cupful of cream, and stir the rest boiling to them: thicken the custard in a deep jug set over the fire in a pan of boiling water.